2009 ( AL-AT-FR ) · Albanian · Drama · G · 90 minutes of full movie HD video (uncut). You can watch Gjallë, full movie on FULLTV - Koll, 22 year old student at the University of Tirana, receives news of the death of his father. Young undertake the journey to her village in northern Albania. Upon arrival learns he has to sacrifice his life because of an ancient custom. 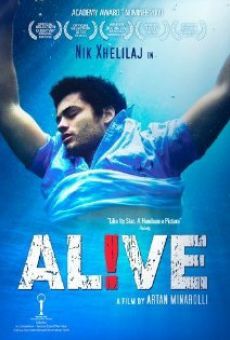 Selected by Albania to qualify for Oscar 2010 in the category of Best Foreign Language film. You are able to watch Gjallë online, download or rent it as well on video-on-demand services (Netflix Movie List, HBO Now Stream), pay-TV or movie theaters with original audio in Albanian. This film was premiered in theaters in 2009 (Movies 2009). The official release in theaters may differ from the year of production. Film directed by Artan Minarolli. Produced by Marie Balducchi, Ebba Sinzinger, Vincent Lucassen, Dritan Huqi and Artan Minarolli. Screenplay written by Artan Minarolli. Commercially distributed this film: Vanguard Cinema, GoDigital Media Group and trigon-film. Film produced and / or financed by Agat Films & Cie, Art Film and Wildart Film. As usual, the director filmed the scenes of this film in HD video (High Definition or 4K) with Dolby Digital audio. Without commercial breaks, the full movie Gjallë has a duration of 90 minutes. Possibly, its official trailer stream is on the Internet. You can watch this full movie free with Albanian or English subtitles on movie TV channels, renting the DVD or with VoD services (Video On Demand player, Hulu) and PPV (Pay Per View, Movie List on Netflix, Amazon Video). Full Movies / Online Movies / Gjallë - To enjoy online movies you need a TV with Internet or LED / LCD TVs with DVD or BluRay Player. The full movies are not available for free streaming.